We are a famous manufacturer, trader and supplier of an extensive variety of premium quality Air Compressor for Automobile Industry. Our offered products is produced by masters. For guaranteed nature of this wire cutting hardware, it is totally analyzed on various procurements of value as per set business standards. 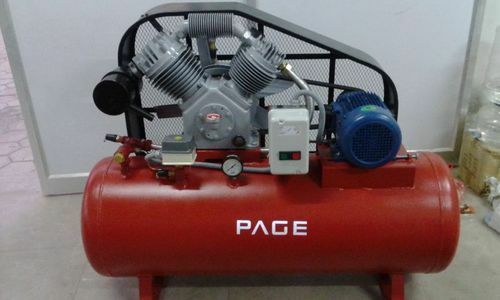 "Page Automotive", has established in the year 2011 which is widely involved in manufacturing, trading, wholesaling and also in supplying an extensive range of products which includes Garage Equipment such as Trolley Jack, Bottle Jack, and Lifting Equipment. These products are manufactured using high-grade material and designed as per the national quality standard. Moreover, to meet specific requirements of our clients, we also provide customized solutions. With modernized machines and amenities equipped in our infrastructure, attainment of the firm’s goals and objectives is quite easy. We have also developed a quality management division in our organization. Our machines and tools are operated by an expert team of professionals, who are well versed in their respective domain. We keep ourselves updated with the latest trends and industry standards to meet the requirements of the clients. And our manufacturing unit allows us to complete the bulk orders of our clients by maintaining a high rate of production.